Vail Williams was appointed to advise UK Flooring Direct in relation to the relocation of its business to new premises in Hinkley, Coventry. Having outgrown its existing building, and faced with the imminent expiry of their existing lease, the client appointed experts from across Vail Williams’ business space, rating, planning and acquisition and disposal teams, to identify new premises within extremely tight timescales. Knowing the market and how scarce the types of properties that the client was looking for were, the team worked quickly to establish the client’s needs and come up with a list of appropriate premises to review. An extensive property search was then carried out, and expert advice was given regarding the opportunities and challenges presented by each option. 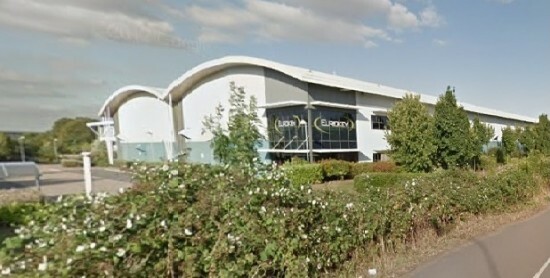 The final shortlisted property was situated at Hinckley Commercial Park, Coventry. The unit was a former waste transfer site and required additional advice from our planning team to secure B1, B2 and B8 planning uses. Vail Williams also advised in relation to the building survey, schedule of condition and negotiated the removal of an existing weighbridge to ensure that the building was fit for purpose. The main challenge for the project, was to ensure that the client could secure a move to the new premises within the restrictive timeframe. This required clarity of communication between all parties involved in the deal, as well as good working relationships with external advisers and stakeholders, to ensure completion in line with the client’s expectations. As a result of the in-depth advice given by the multi-disciplinary team at Vail Williams, the client has secured a 10 year lease on its new premises, with 9 months rent free. Future liabilities have been protected through a schedule of condition, and new planning uses have ensured that the building is fit for purpose. Not only has the client been able to secure the right property to take their business forwards, they have also been able to retain a high proportion of staff, due to the close proximity of the site to the previous premises. The new premises also represents a cultural shift in working environment which has helped to improve business efficiency in the time since the move. With the help of our team of advisers, UK Flooring is now in a strong position to move their business forwards, in line with the strategy for growth over coming years. Managing Director, UK Flooring Direct. Matt Clarke is based in our Heathrow and Woking offices.